The Royal Scandal is equal parts Crown Royal, Southern Comfort and amaretto with splashes of sour mix and pineapple juice. If you have issues with sour mix, just replace it with a splash of lemon juice. This is a sweet, nutty drink with woody notes coming from the whiskey and a little tang from the splash of sour mix. It’s a really interesting taste that start out sweet and rich but there’s a lot more going on here. You don’t need to like the taste of straight whiskey to enjoy this one. 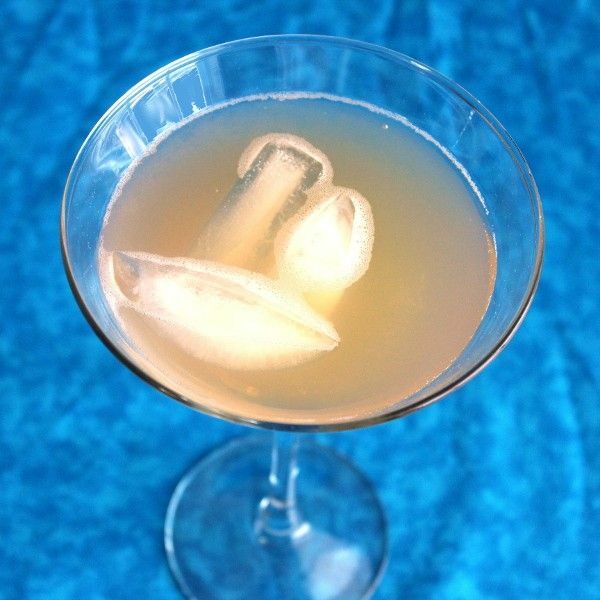 It’s an easygoing drink that’s just right for an evening out. Put 4-6 ice cubes in a cocktail shaker. Pour in the liquors and shake. Strain into a martini glass over ice.